[Poll] What New Device Announced At MWC Are You Most Looking Forward To? Mobile World Congress means different things to different people. To marketers, it means reaching new audiences, to company execs, its their chance to make us of those public speaking lessons. For us gadget nerds, it means one thing: shiny new toys! What are you most looking forward to adding to your personal arsenal of gadgets? A shiny new HTC One device? 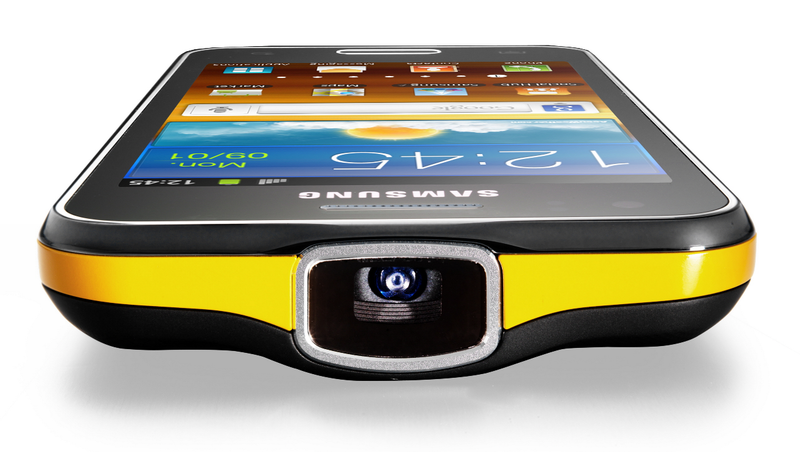 Do you have a need for a projector phone that's gone unfulfilled until now? [Poll] Who Made The Biggest Splash At MWC This Year? Things are winding to a close in Barcelona, but the effects of what happens at this event will ripple out through the tech industry for the rest of the year. We gadget nerds do enjoy our idle speculation. Who do think made the biggest impact this year? Is it Samsung with its Galaxy Note 10.1 that's nipping at Wacom's heels? Or is HTC poised to take back the high-end smartphone market with its HTC One series? 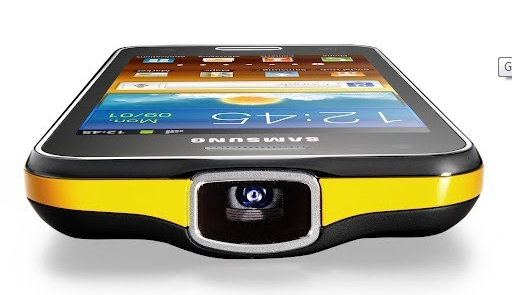 Continuing Samsung's recent foray into niche markets, the leading Android manufacturer announced the Galaxy Beam, a 4" Gingerbread phone with a built-in projector. 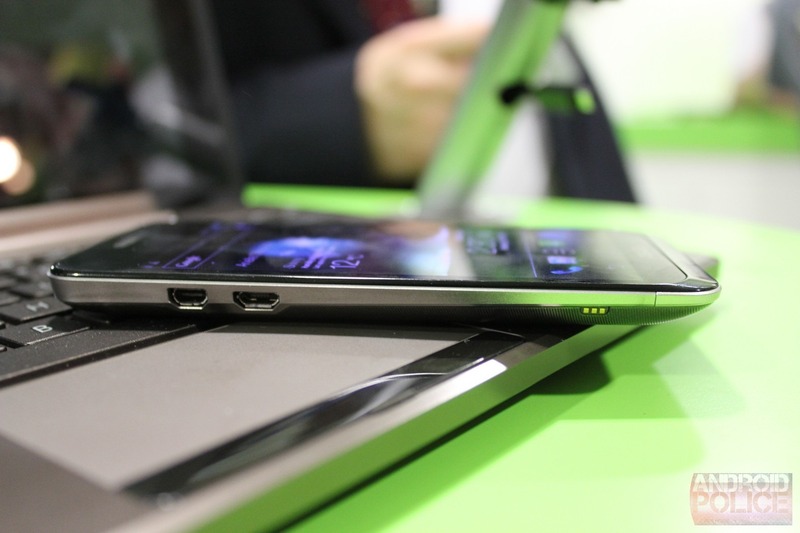 We trotted on over to the NVIDIA boot at MWC in Barcelona this morning, and happened upon the newest tablet offering from Toshiba, the AT270. Officially unnamed at this point, the device is packing a 7.7" SAMOLED 1280x800 display, a Tegra 3 processor, Wi-Fi, and 32GB of storage (it's unknown if this is the standard amount). 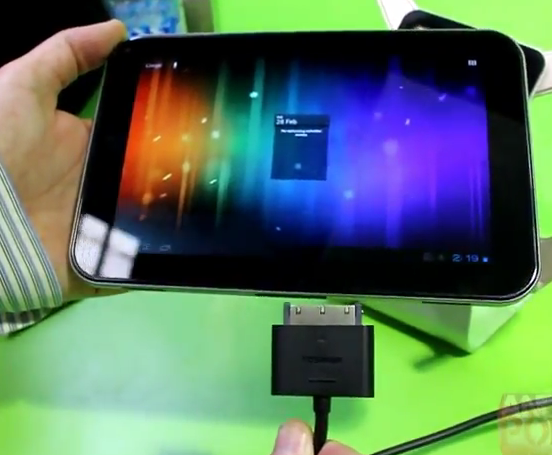 It's also running Android 4.0. Playing with the device was a fairly pleasant experience - though an attendee using the AT270 right before us managed to lock up the device on the unlock screen. 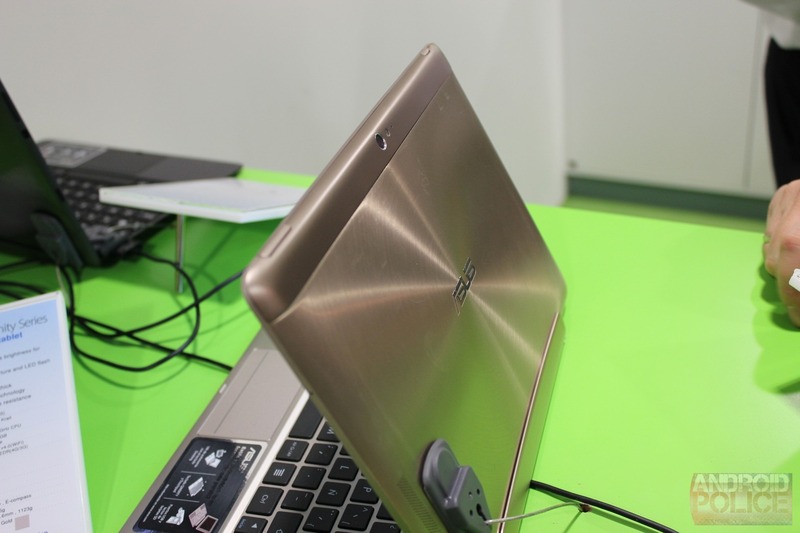 While at the Google booth earlier today, ASUS was kind enough to let us take a look at the upcoming Transformer Pad Infinity (basically, a beefed up TF Prime), albeit a version we had not yet seen. The TF700KG is likely going to be a Europe-only device (unless it were to be picked up by a major carrier here in the US), as it has a 4G LTE SIM slot on it, and runs on a Qualcomm S4 MSM8960 dual-core processor. In a follow up to Sonic the Hedgehog 4: Episode I, available on the Market now, the sequel is bringing a new set of effects and updated graphics to the classic console games. 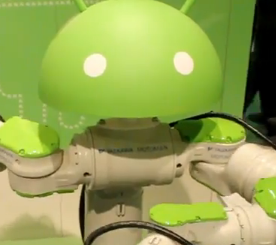 Out of all the fun things going on today at the big Android booth Google set up at MWC, one cute little guy stood out from the pack. Want a custom-made Galaxy Nexus battery door while you ogle suspicious-looking jelly beans and scarf down free ice cream sandwiches and delicious smoothies? No problem - just walk up to a conveniently located tablet, order up a design, and watch it make one for you live with utmost precision of a true Android. When I first heard about the ASUS Padfone, I thought the idea was a bit laughable. When I tried in person today, my opinion changed substantially. ASUS definitely seems to have done this right - particularly considering it's still a prerelease piece of hardware. My primary concern was in how seamless the transition from phone to tablet would be, and how much the phone's hardware design would suffer because of the docking mechanism. 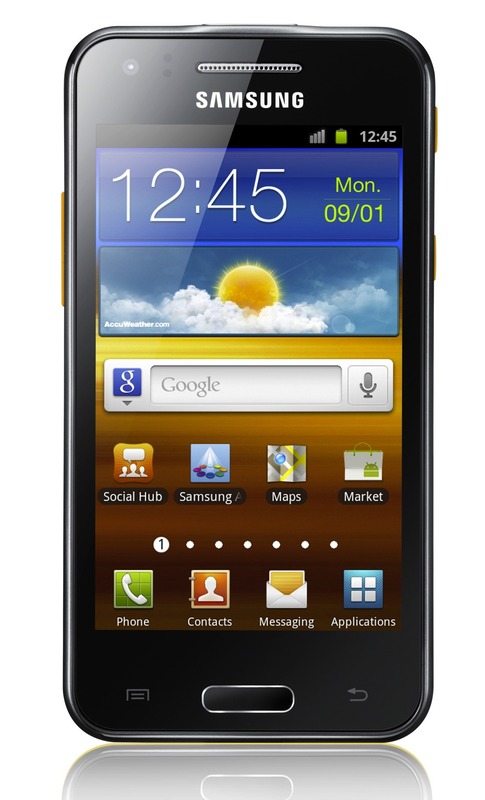 The 1GHz dual-core processor hums along through Gingerbread (I know, I know - but an ICS update is surely in the works) nicely, and the 4" WVGA display gets the job done. While it's no flagship device, for such a niche piece of hardware, Samsung has done a pretty decent job here.